Those of a certain age will be most familiar with edelweiss as the name of a song crooned by Christopher Plummer in the movie of The Sound of Music. 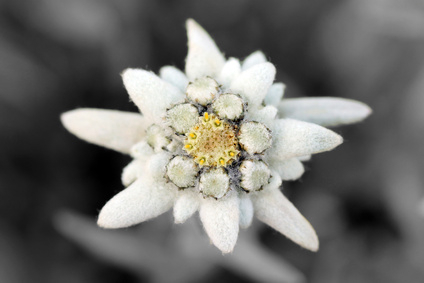 Off-screen, this flowering plant flourishes further afield than the European alps, where it’s a protected species: edelweiss is nowadays most commonly found in Javanese mountain regions. It smells sweet, but not as cloying as hyacinth. 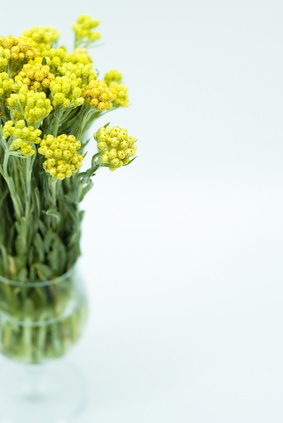 A short-lived perennial with beautiful white flowers, edelweiss has long been valued as a medicinal plant – but in fragrance, it’s not actually used very widely. Edelweiss does make an appearance in a couple of Swiss Army fragrances – but it’s there, we suspect, more to make a link that evokes the wide open spaces of Switzerland than for the note itself. 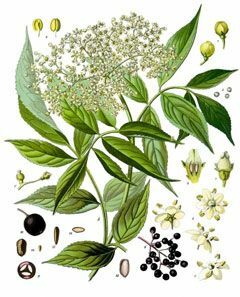 It takes a lot of elderflower to produce a little essential oil – so this note is usually recreated synthetically, to evoke that sweet, honey-like, floral-herby scent of this hedgerow plant. The Sambucus nigra flowers – white, frothy, umbrella-like – actually go much further when they’re used for making drinks (elderflower’s a popular cordial). They’re also often left to produce fruit, which can be infused to extract an intense berry scent. Mostly, though, when you see elder listed as an ingredient, that’ll be a synthetic version. The roots of this plant – also known as horse-heal (and officially Inula helenium) – can be distilled to produce an essential oil, with a minty, violet-like scent. 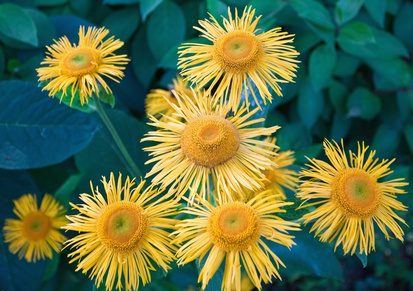 (Over the centuries, it’s also been valued as a medicinal and was actually recommended by the famous herbalist John Gerard; elecampane has been prescribed for shortness of breath and water retention.) The dried roots also make their way into pot pourri. 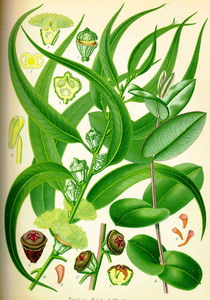 Elemi is a pale yellow fragrant resin, tapped from a tree – Manila Elemi, or Canarium luzonicum - which grows in the Philippines. With a sharp balsamic-spicy, almost lemony scent, elemi’s invaluable as an incense ingredient and also for ‘fixing’ perfumes, tethering ingredients which otherwise would fade fast. Outside perfumery, the resin’s a handy herbal remedy – good for everything from bronchitis and coughs to healing wounds and scars. 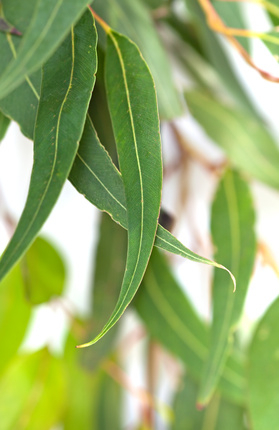 Eugenol is the main element in clove essential oil – and also found in other plants, including allspice, bay, cinnamon leaf, patchouli and pimento. (Although eugenol is also produced synthetically, nowadays.) When perfumers add eugenol to a fragrance’s construction, we may actually detect a hint of spicy carnation in there. Unusually for a perfume ingredient you’ll quite often see it listed on the back of the carton which your fragrance bottle is packaged in: eugenol’s use is now restricted in perfumery, as it’s been known to cause allergies in some people, so it must be mentioned on perfume ingredients lists to alert them.